As we all know HTC has been providing their remarkable service through ages by providing most durable and stylish mobiles. It’s absolutely true that HTC gave tough time to all giant mobile companies till now and still producing unique mobiles phones. 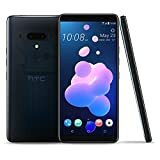 HTC U12 Plus is one of the best smartphone with a lot of features. HTC has produced many mobiles but if we talk about the turning point of this mobile producing company so it was HTC one (famous with the name of HTC M7). This was the mobile when HTC became the choice of more than 30 percent people. Users were extremely satisfied with the design, features and easy to use mode of HTC M7. After that, HTC proudly announced each mobile launching because they were confident about their mobile engineers who were manufacturing back to back most selling smartphones. Now this is the time for HTC U12 Life launching, which is coming soon. You will surely love with the specifications of this smartphone in affordable price, most importantly you are going to admire the durability and battery timing. We suggest you to give a try to this smartphone, it will never let you down and this will urge you to become Brand Loyal User of HTC.